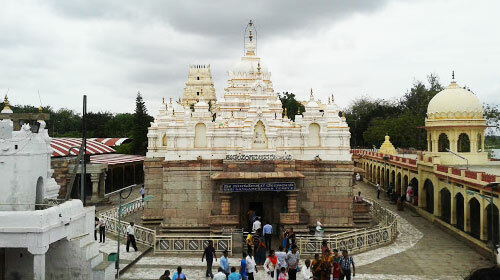 Kudala Sangameshwara temple is located at Kudalasangam of the Bagalkot district. The temple is located near the Almatti Dam. This temple is dedicated to Lord Shiva. The ancient temple of Kudala Sangameshwara is a standing example of the Chalukya architecture in a fascinating manner. The Linga present here is believed to have been a self-manifested (Swayambhu) one. There is also a museum in the Ashram of the temple which depicts the collection of sculptures and Karnataka’s ancient history. The temple is associated with the 12th century poet, Basaveshwara. He was taught by the guru Sangameshwara at Kudalsangama. He became a prime minister to the Kalachurya king and as he went on, created a new spiritual institution where everyone could join. He attracted many followers especially from that of Shaivism and they came to be called as Lingayats. Kudalasangama became Basaveshwara’s final resting place. That is why this place is of utmost importance to Lingayats. The temple’s annual festival is conducted from February to March of every year. Other grand celebrations include Maha Shivaratiri and Basava Kranthi.